Embark on a breathtaking journey over Australia’s World Heritage Listed Tropical Rainforest. Travelling deep into the forest, you’ll have the opportunity to explore the wonders of an ancient tropical rainforest as well as learn about one of the most diverse areas in North Queensland. 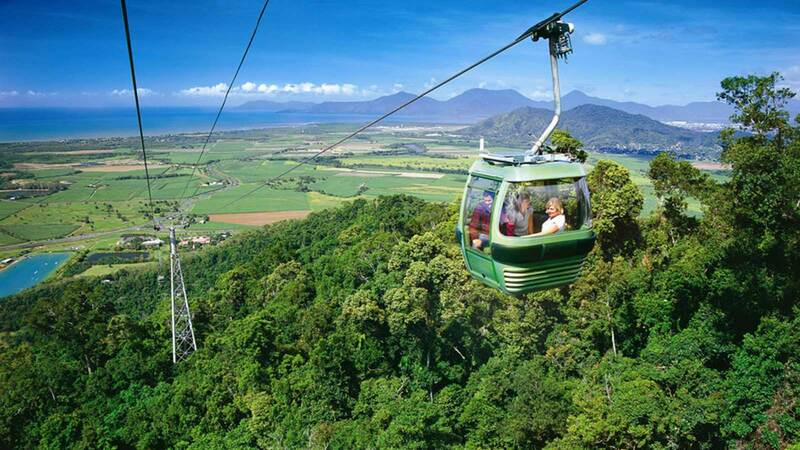 Skyrail Rainforest Cableway is a journey through Australia’s pristine Tropical Rainforests departing from Skyrail’s Smithfield Terminal, 15 minutes’ drive north of Cairns. 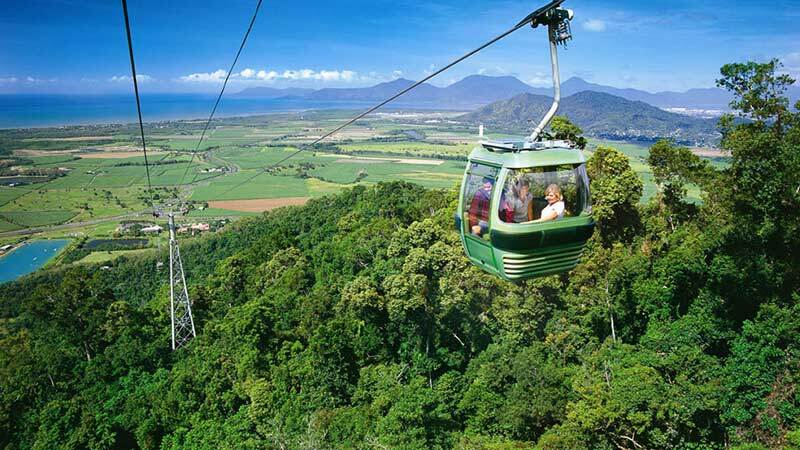 The 7.5 km long cableway is equipped with cosy gondolas which float mere metres above the rainforest canopy, giving you uninterrupted views of the rainforest and the Coral Sea. You also have the opportunity to stop off at two different stations along the way, Red Peak and Barron Falls where you can explore the forest floor on the boardwalks, scenic lookouts and the Rainforest Interpretation Centre.